Tonight we have another guest review from across the pond. 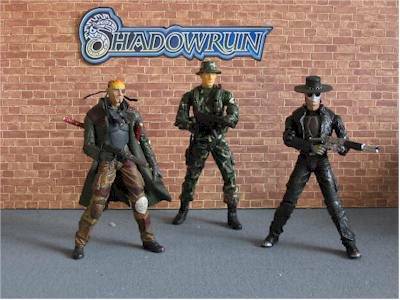 This time it's prestorjohn from the U.K., reviewing the Shadowrun figures. Take it away! 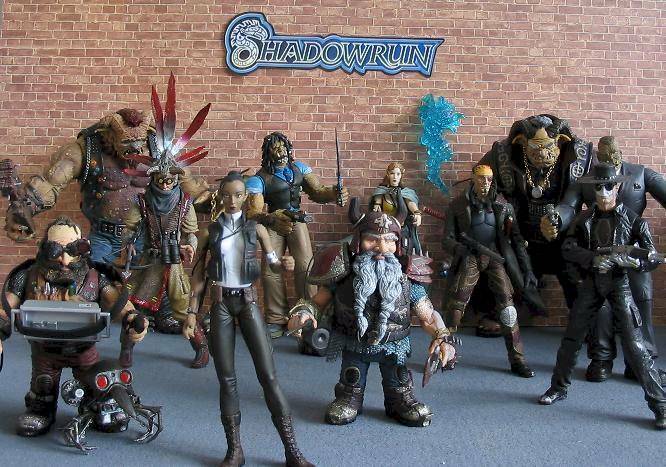 As this review is for two whole series of figures, It does not focus on any one particular figure in any great detail; instead it is meant as an overview of the Shadowrun series that will either wet your appetite to find out more about the individual figures, or help you decide if Shadowrun is for you as a collector at all. 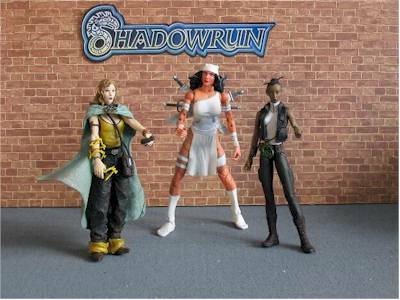 Shadowrun figures are presented blister packed in fairly sturdy packages. The layout is very good and all the accessories are easy to see. The graphics are interesting and each figure has a painted image of him self in an action pose on the front cover. The sculpting on these figures is very good. The detailing is as good as anything I have seen done by Mezco or Toy Biz. Some figures are even on par with some of the best McFarlane sculpts. I believe a lot of the work done here was by the people at Plan-B so the pedigree here is a good one. A half mark is lost though because none of the female sculpts are as strong as the male or monster sculpts. Strangely scale is a little off 6". Compared to my Plan-B figures (see pic) the Human figures are a little small, the difference is less than half an inch and I can't help but think this is a manufacturing scale error rather than a sculpting one. Every one of my figures has a flawless or near flawless paint job. The colors used are interesting and help set of each figure perfectly. 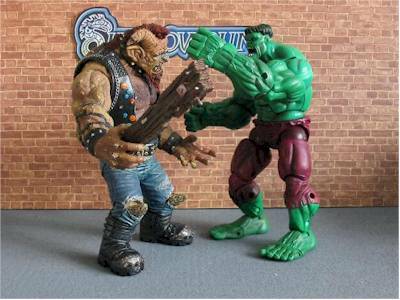 The giant monster type figures for instance look great, and have loads of shading and detail. The Human figures have loads of fine detail work and are a treat to look at. Articulation is OK. Very much in line with Plan-B’s first sets of figures in fact. All of the figures have ball jointed shoulder joints. All of the male and monster figures also benefit from hinged knees and elbows (apart from the Dwarfs) plus ‘T’ jointed crotches. All the figures also have cut jointed necks and most have hinged ankles. The female figures lose out the most here though, they lack any articulation below the waist and do not have hinged elbows and therefore have the least appeal to an articulation junky like me. Because of the high end sculpting though pose ability has been hampered. I found it easy to make small changes in poses but fight scene poses were very limited indeed. 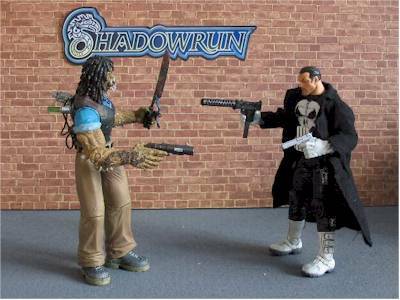 These guys will have to shoot or batter my Marvel Legends because kung fu moves are not possible. Each figure comes with interesting accessories. They range from robots to guns and knives, through to magical creatures and bullet proof vests. Each accessory is finely detailed and well painted. Each figure even comes with a separate set of hands that come complete with pegs built into them that are designed to fit into the tiny holes that are cast into each accessory. Whizz kids lose a star though because in practice this system works terribly. The accessories look completely unnatural when posed with these hands and amazingly the normal hands fit the accessories ten times better than the pegged ones and even they are somewhat limited in what they can hold. On the plus side my Marvel Legends Punisher figure now has a huge arsenal of weapons to choose from! Each figure also comes with a large black circular base that can be opened up to store the figures accessories (not that all the accessories will actually fit inside some of them though. This has to get four starts simply because as action features go it is unbeatable. 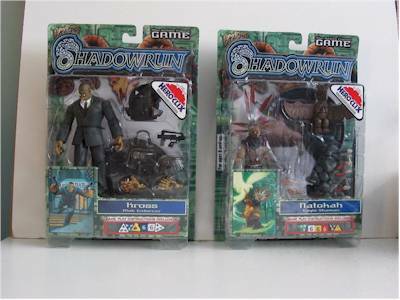 Instead of a huge leaver in the back of each figure that makes an arm wiggle about a bit, as is normal with today’s action figures you instead get a well thought out gaming system. 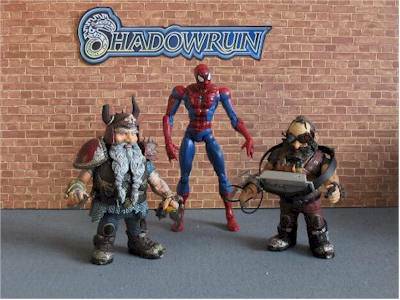 Each figure has been designed from the beginning to be Heroclix style game piece. If truth be told it is the figure that should be listed down with the accessories. a The base that they stand on is really what its all about, like Heroclix each base has a scoring system built into it that is specific to its particular action figure. These figures have not set the world alight. They were priced at about £14.99 each in the UK when the first came out and have not sold well. 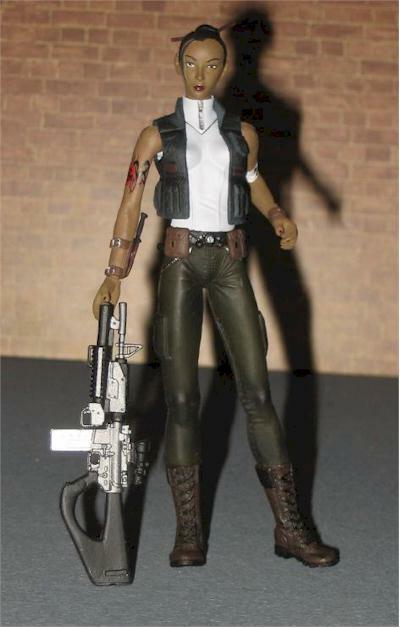 As an action figure that was just too expensive, especially for those who have no interest in the gaming aspect. 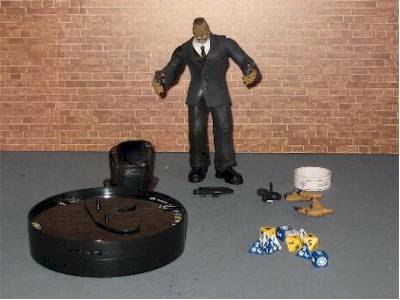 For gamers I suspect the scale is too big for them, especially if they are used to using Heroclix or Wargame figures. In the end I think they fell between two stools and are therefore having a hard time finding a decent sized fan base. The good news though is that because of this, they are now on sale in many places for the knockdown price of £4.99 each at that price they represent good value. I believe it is a similar story in the USA. 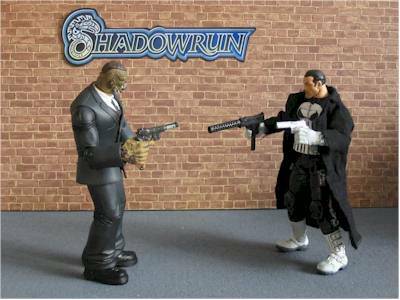 I think the Shadowrun series is a worthy addition to most action figure collections. But I would not recommend that you purchase the entire series. Instead I would stick to the stand out figures that have had the most general appeal such as the large monsters and the human looking characters. This conclusion is however drawn from my interest in action figures. I am not a gamer and if I were I suspect my conclusions would be markedly different. Figure from the collection of prestorjohn.